Before our trip to Boston, I'm not sure that visiting a children's museum would rank very high on my list of things to do while on vacation. Don't get me wrong--I love a good children's museum. 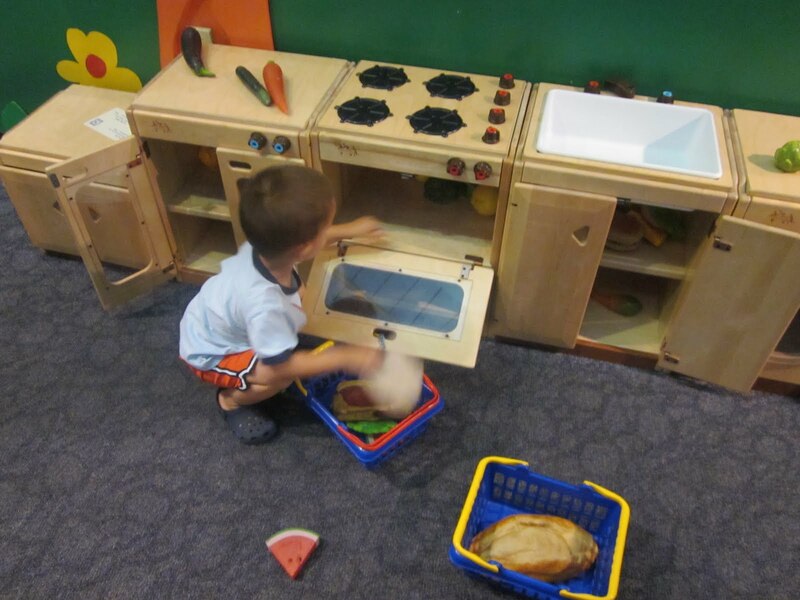 Visiting the Children's Museum of Indianapolis is one of my favorite day trips with the arrow. And we adore Kidscommons here in Columbus, Indiana as a great mid-week or bad weather boredom buster. But when I'm traveling, I prefer to see and do something completely unique to that locale, something we can't do where we live. But after three busy days seeing some of the sights in Boston, most of which were probably more appealing to 30-somethings than 2-year-olds, we wanted to spend our last day doing something that the arrow would really enjoy. By now the high temps had me ruling out anything outdoors, and so we retreated to the cool and kid-focused Boston Children's Museum. It was actually pretty relaxing. 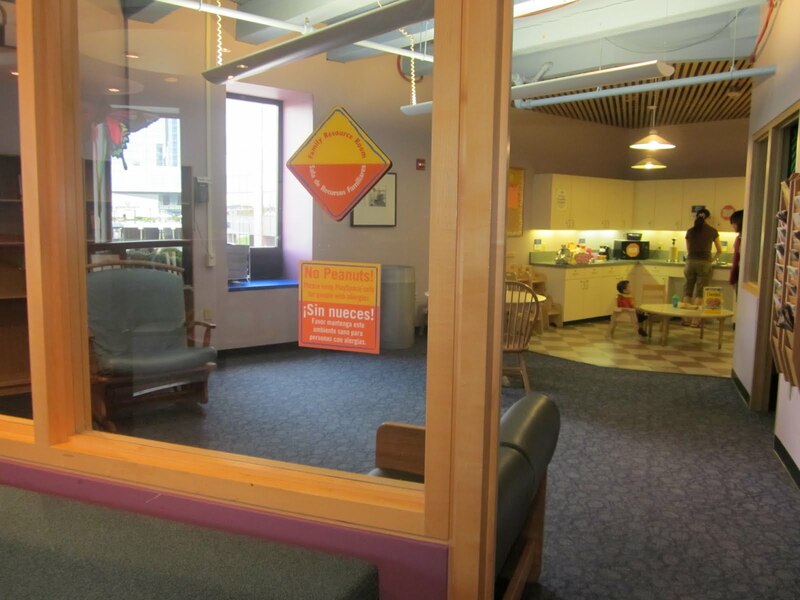 The first area we visited was called PlaySpace, and it was ideal for families with babies and toddlers. There were plenty of benches and seating for adults to sit and watch their little ones play, as well as an entire padded area just for little crawlers. Because many of the exhibits throughout the museum are nearly completely enclosed, we didn't have to do much chasing or hand-holding: something we had done A LOT of in the days prior. We also parked our stroller in the museum lobby, and didn't find a need for it for the entire visit. We were ALL happy to get a break from the stroller! Since I now have traveling with two on the brain, I was particularly pleased to see an enclosed kitchen/relaxation area for those families with babies (also in the PlaySpace area). There were rocking chairs perfect for nursing, a microwave to heat up food, a high chair, etc. I can imagine more than one mom has breathed a sigh of relief when she saw this amenity. There was a strong educational focus. The arrow starts preschool this fall (more on that to come), so we made sure to stop by the Countdown to Kindergarten exhibit so he could get a sense of what a classroom looks like. To our surprise, this was by far his favorite exhibit in the museum. He loved going to the different stations and seeing what he could try. The Boston Children's Museum probably isn't for everyone. It's geared toward younger kids. I would guess children 7 or older might not find much here to hold their attention for very long. (Trust me, as a mom of a 2-year-old, I'm not complaining about this. There are many other attractions in Boston that would be perfect for older kids, so I was thankful for a toddler/preschooler paradise.) I was also hoping to pick up a unique toy or souvenir for the arrow in the gift shop as a memento from Boston (we had managed to avoid any such purchase thus far into the trip), but I found the offerings disappointing. I did appreciate the food choices for lunch, though. 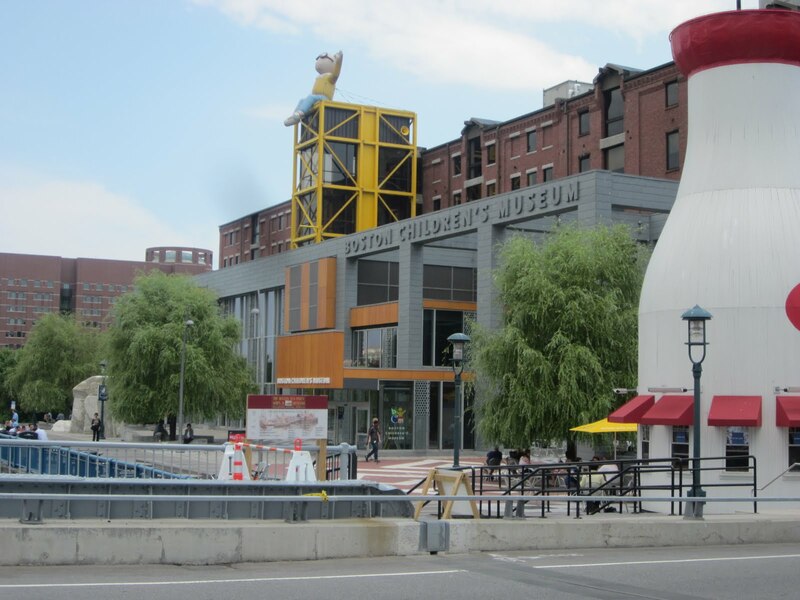 The museum has an area for brown-baggers, an attached Au Bon Pain, and the famous giant Hood milk bottle just outside the front door in the warmer months. After many meals on this trip that consisted of french fries and a few bites of hot dog, it was great to visit the Au Bon Pain and get the arrow something healthy to fuel him until dinner. All in all, we found the Boston Children's Museum to be a great spot for a few hours of arrow-focused fun. I learned on this trip that visiting a big city can be taxing on a young traveler--in and out of a stroller, waiting in lines, lots of commotion, etc. 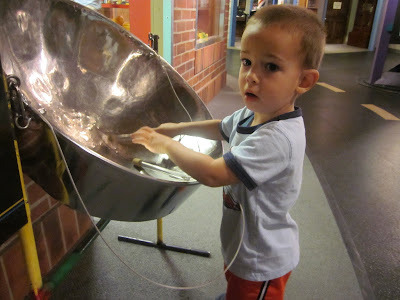 I think I'll incorporate children's museum visits into future travel plans as a good option for when energy and patience (parents and toddlers') begins to wane. The museum is open from 10 a.m. to 5 p.m. daily, and closes at 9 p.m. on Fridays. This post is a part of Mondays are for Dreaming at The Mother of All Trips. 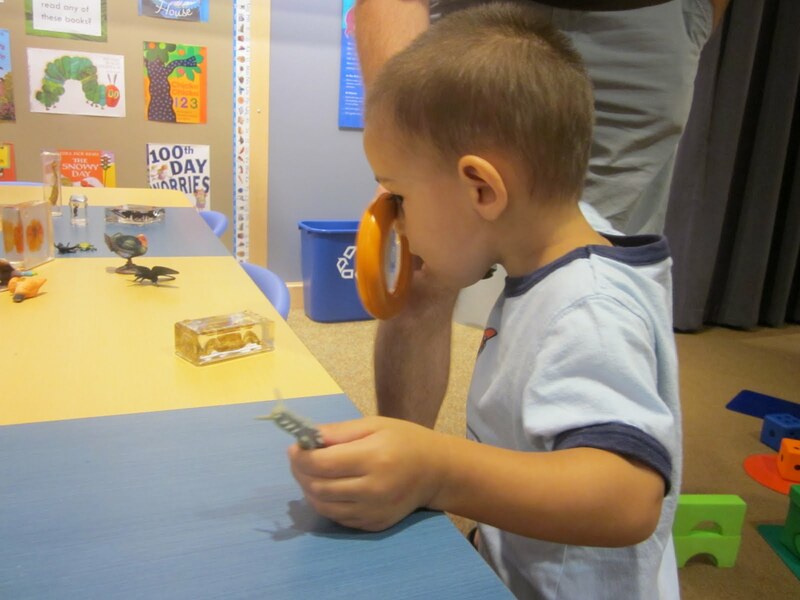 We're dreaming of more children's museum fun in the future: in Boston, near home, and around the world! What are your favorite children's museums? PS: If you want to know more about how we filled five days in Boston with a toddler, see my Boston Trip Report. 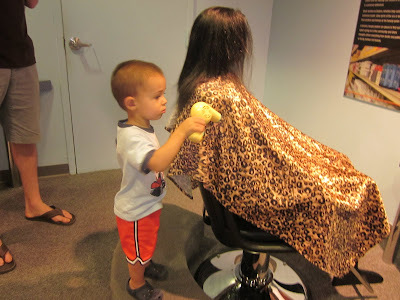 Or you might be interested in my tips for visiting a children's museum. Disclosure: While HomeAway covered many of our travel expenses for our trip to Boston, we paid for our admission to the Boston Children's Museum and all opinions are my own. Looks like your family had a great time! If you ever make it to Ottawa, Canada the Museum of Civilization has a wonderful Children's Museum. Play stations are set up to represent activities in different countries and children are given a passport to have stamped as they complete an activity in each station. My girls loved it when they were younger.